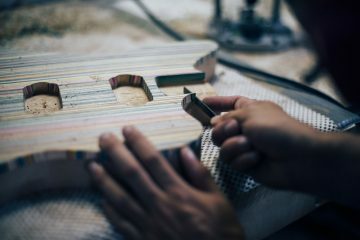 Visual aesthetics meets musical function in the Prisma Guitar workshop. Skateboards and guitars. The two have always been close to one another, but Nick Pourfard smoothly took the relationship a little further.